More than 400,000 Canadians aged 65 and over live with diagnosed dementia, including Alzheimer’s disease, which accounts for approximately 70 percent of cases. The cause of this degenerative brain disease is largely unknown and no effective treatment exists. The disease has a devastating effect on individuals and their families. To advance our understanding of dementia and contribute to the search for new treatments, Mr. Anthony Housefather, Member of Parliament for Mont Royal, today announced, on behalf of the Honourable Ginette Petitpas Taylor, Minister of Health, an investment of $2.5 million from the Government of Canada for dementia research. The funding includes $1 million to establish a Canadian brain bank network that will be linked to the international Alzheimer ’s disease Neuroimaging Initiative (ADNI). The Canadian ADNI BraIn bank Network, or CABIN, will provide the personnel and physical infrastructure needed to contribute to the ADNI program and more broadly support brain donation and tissue banking for dementia research programs in Canada. 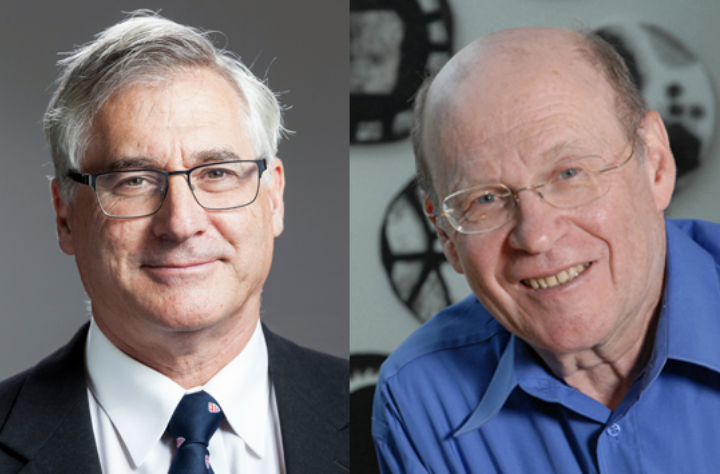 The project will be led by Dr. Ian Mackenzie and Dr. Robin Hsuing at the University of British Colombia and Dr. Howard Chertkow at the Jewish General Hospital and McGill University. In addition to the CABIN funding, research led by Dr. Nahum Sonenberg, James McGill Professor and the Gilman Cheney Chair in Biochemistry in McGill University’s Department of Biochemistry, is one of three international projects sharing $1.5 million in funding through the The European Union created the Joint Programme on Neurodegenerative Disease Research (JPND). The JPND was created to better coordinate European research efforts on dementia and other neurodegenerative diseases such as Parkinson’s disease. Canada, Australia, and Switzerland are non-EU countries participating in the programme, which facilitates collaborative research projects involving scientists in member countries. The three projects were selected following a call for proposals from the Canadian Institutes of Health Research (CIHR). Titled “Altered mRNA translation as a pathogenic mechanism across neurodegenerative diseases,” Dr. Sonenberg’s initiative will aim to better understand the mechanisms responsible for altering the manufacture of proteins in Alzheimer’s disease and other neurodegenerative diseases and to identify potential targets for drug development. The research will be done in collaboration with colleagues in Germany, Israel, the United Kingdom, France and the Netherlands. The Government of Canada is currently developing a national dementia strategy that will be evidence-based and build on the innovative work already underway across the country. “CIHR’s Dementia Research Strategy is guiding research investments in a way that maximizes Canada’s scientific strengths and accelerates dementia research in this country and internationally. These research projects will move us closer to finding an effective treatment for this devastating disease,” said Dr. Yves Joanette, Scientific Director at the CIHR Institute of Aging. Professor Nahum Sonenberg describes his discoveries that elucidated the protein synthesis molecular machinery of our cells that regulates the types and amounts of proteins produced. We also learn how poliovirus hijacks the cell’s production system to produce viral rather than cellular proteins. Professor Nahum Sonenberg describes the selection machinery used in cells to make proteins. We learn how errors in this mechanism can lead to cancer, autism spectrum disorders and changes to the memory capacity of the brain.